TEMPE, Ariz. – Flow Technology, Inc. (FTI), a leading manufacturer of precision flow measurement instruments, systems and calibrators, today announced its primary standard flow meter calibration laboratory has been accredited by the National Voluntary Laboratory Accreditation Program (NVLAP). The facility is now accredited to provide ISO/IEC 17025:2005 liquid calibrations – the “Gold Standard” for absolute accuracy and repeatability. A U.S. government program administered by the National Institute of Standards and Technology (NIST), NVLAP provides the highest quality accreditation services to U.S. industry and is recognized nationally and internationally as a world-class laboratory accreditation program. NVLAP is in full conformance with all recognized standards for the metrology industry, including NIST Handbook 150, ISO/IEC 17025 and Guide 58, as well as ANSI/NCSL Z540. NVLAP accreditation criteria were established in accordance with the U.S. Code of Federal Regulations (CFR, Title 15 Part 285), NVLAP Procedures and General Requirements. A calibration laboratory must be audited annually to maintain its NVLAP accreditation. This audit is not only based on the lab’s calibrator documentation traceability, but also the process used to maintain guaranteed accuracy. 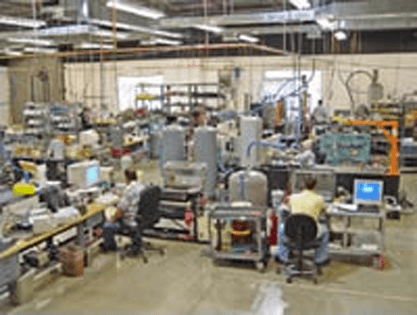 Flow meter users, including those with aerospace, automotive, oil & gas and industrial operations, rely on Flow Technology for primary standard calibration services for all types of flow meters. All calibrations are traceable to NIST and ISO 9000 guidelines. Flexible flow meter service and repair programs can be tailored to the customer’s specific needs, and offer the industry’s fastest turnaround time. For more information, contact Flow Technology at ftimarket@ftimeters.com, call 1-866-910-FLOW, or visit https://ftimeters.com.